← Parma Number 22: The Normanby Hotel … No Alfie Langer like celebration here! The Verdict: This week’s Parma comes from another of Brisbane’s iconic hotels, the Regatta. In a first, after 22 chicken parmigianas, the Regatta Parma added a new twist to how a Parma might be presented: the tomato sauce was not spread on the chicken but rather the ham was between the chicken and the sauce. Unfortunately this twist did not really work. Added to this, a dry piece of chicken and too little cheese left me feeling a little bit disappointed. Chicken: The chicken piece in the Regatta Chicken Parma was a smallish piece that unfortunately appeared to be a bit overcooked. It was certainly dry. On the plus side the chicken piece was well crumbed. Ham: The absolute standout of this Parma was the ham. It was a massive slice of ham which had to be folded in half to fit on the chicken piece. It tasted great to go with its ample quantity. Tomato Sauce: The tomato sauce, as the photo above attests, was spread over the ham rather than between the chicken and the ham as has been the case for the last 22 parmas reviewed. Whilst the sauce was quite tasty the placement of it on the ham meant that the chicken’s dryness was exacerbated. Cheese: The placement of the sauce on this dish meant that the cheese was directly on top of it. This meant that every time I cut into the chicken portion of the meal the cheese slid off the ham / chicken. Whilst well melted there was not enough of it so that, coupled with it sliding off the ham / chicken, meant that there was none left by the time I was half way through this part of the meal. Side Dishes: The chips and salad in the Regatta Parma were both very good. The chips were well cooked and well salted with chicken salt. The salad, whilst simplistic, was extremely fresh and tasted great! Presentation: Not only was the chicken portion of this dish on top of the dish is was also on top of the part of the salad. Given the side of the plate this meant it was impossible to just eat the chicken portion on its own. The Venue: The Regatta Hotel has been a watering hole in Brisbane for some 140 years. After a massive refurbishment after the 2011, the Hotel possesses a number of bars as well as the Boatshed restaurant and a number function rooms. The floors are being resurfaced again at the moment so the menu in the bars is limited to a café style menu. The chicken parmigiana was $17.50. The Final Word: It is pretty difficult to much up the order of the ingredients for the chicken portion of the chicken parma however the Regatta Hotel Parma did just that. The ordering of the elements detracted from what was some of the best ham I have had during the last 23 weeks. Unfortunately the chicken piece was also overcooked and dry and the cheese was a little bit lacking. 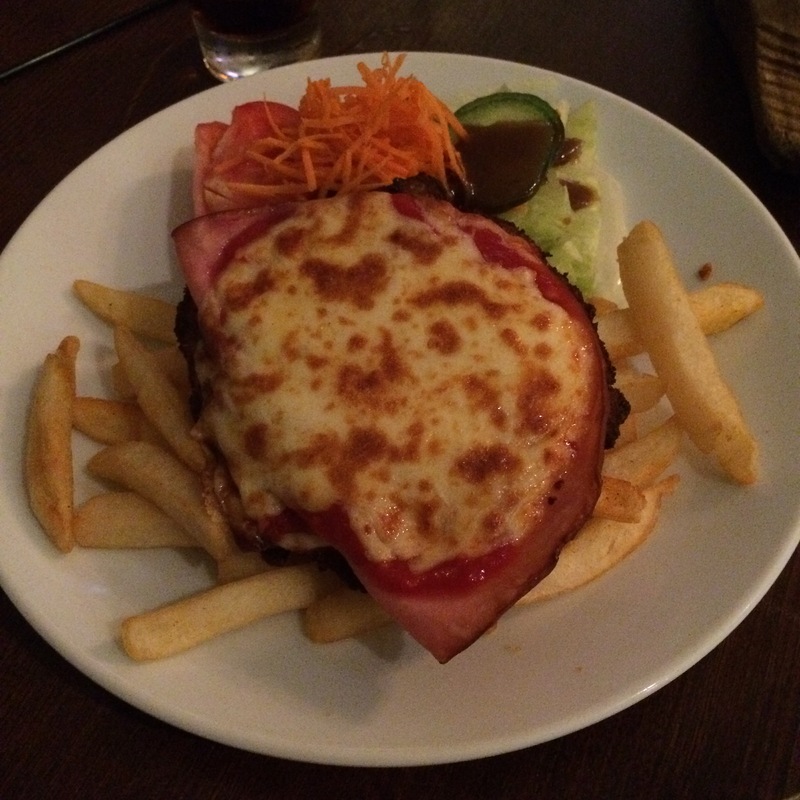 As a result this was not Brisbane’s Best Parma. This entry was posted in Uncategorized and tagged chicken, chicken parmigiana, Parma, regatta hotel. Bookmark the permalink.